Romantic suites with a large sea view balcony and a semi-private pool (one pool for 2 suites). Relax on the comfy sofa in the lounge or on a sunbed by the pool to read your favourite novel. 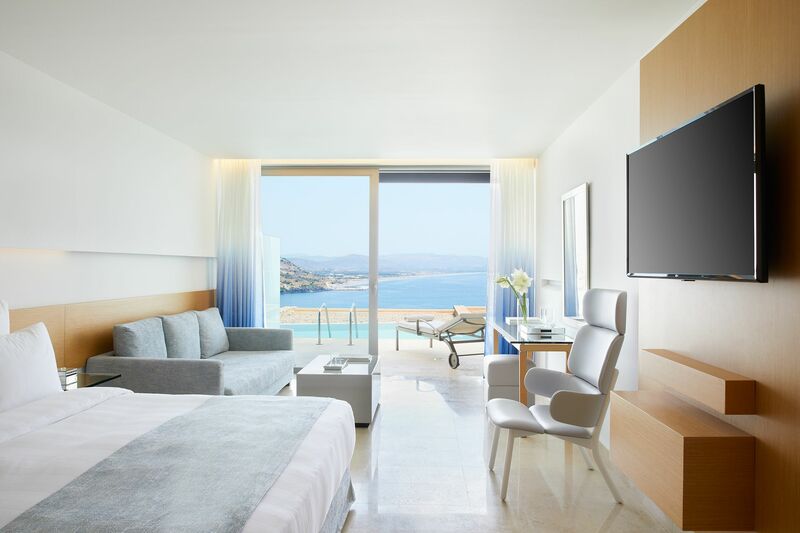 Floor-to-ceiling windows and a glass dividing wall to the bathroom give magnificent views of Vlicha Bay from the king-size bed, lounge area and bathroom. The large bathroom offers a hydro-massage tub with overhead star lights, separate WC, walk-in power shower, funky washbasin and plenty of storage space.